Bear baiting was prohibited in Pakistan in 2001 but continues in part of the country. It is one of the most cruel sports involving animals where teeth of these bears are removed and they are then tied to a post and set-upon by terrier-type dogs. 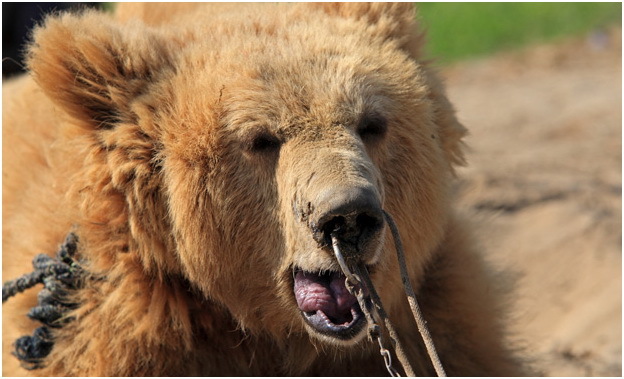 In order to be prepared for bear baiting, these bears will have a metal ring gouged through their sensitive noses so they can be tethered to a pole. They are then forced to fight against trained dogs over and over again in the bear baiting ring. They are malnourished, injured and abused for sport; their lives are filled with pain and misery. And they are not alone. There are still 40 remaining bears trapped in this endless cycle of suffering; they are waiting to be rescued. The muzzle of the bear is pierced with chains to control it; and it sustains severe injuries and usually suffers ripped noses and mouths, causing severe disfigurement and scarring. 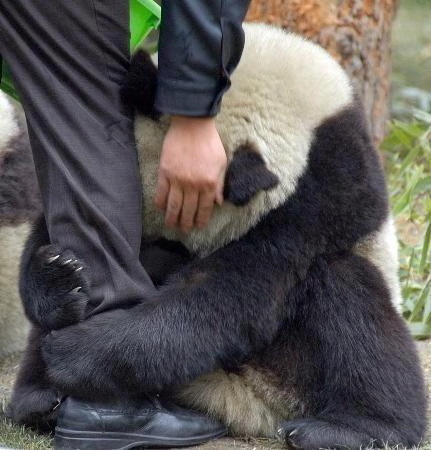 There is never any adequate veterinary treatment for injuries to bears and dogs. A total of 60% to 70% of the cubs die before training. 20% from shock of separation from their mothers. 20% to 40% die during transportation. One can come across in rural Pakistan spectators assembling to watch a tethered and clawless bear set upon by trained fighting dogs. The brutal but lucrative contests are organised by powerful local landlords. They own and train the dogs, which are also victims of this ‘sport’, encouraging ferocity in attack situations. While the bear and the dogs fight and get injured, a crowd claps in the back, with a guy constantly doing a running commentary on a loud speaker. The bears are owned by Kalanders, traditional bear owners, who are paid by the landlords to bring the bears to fight. Most of the time, landlords stand to make large profits from bets placed on the bloody contests. Is this the heritage we are proud of? What kind of miracle can we expect in a society and a civilization where such sports are permitted to take place and people enjoy such cruelty to animals. It is a criminal offense to kill, maim, or render useless any animal under section 429 of the Pakistan Penal Code 1860. Section 3 of the Prevention of Cruelty to Animals Act 1890 also applies as it makes cruelty to animals punishable with imprisonment and fine. However, nobody is ever arrested or prosecuted under these laws and the bears and the dogs continue to suffer the cruelty.